Story - 5: My summaries for Justice League really can't do this new series justice. I'm sure I've missed some details here and there. Suffice it to say I was a little rough on the first couple of issues or so because I haven't read Justice League: No Justice yet. 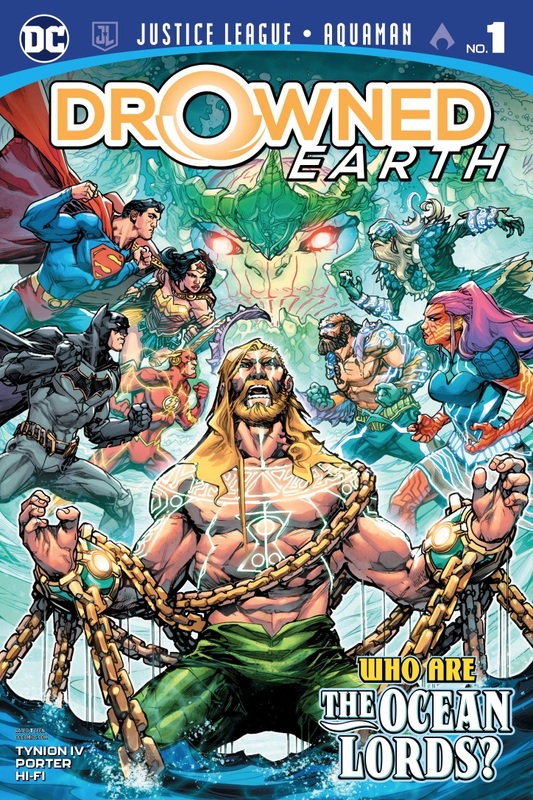 However, the series has gotten better with each issue, and this special is no exception with thirty-four pages of Justice League action that'll put the reader on the edge of their seat. Don't wait for the trade, hardcover or omnibus. Get each individual chapter of Justice League, put them in your longbox, save them on your tablet or smartphone. Read them as single comics. Then binge them and/or trade them with your friends. Tell them that weird Lantz guy sent you. Art - 3: Some pages in the middle of the book look rushed. Superman in particular doesn't look right in the scenes after Metropolis is flooded. That's a shame because I normally love Howard Porter's art. Cover Art - 3: This cover suffers from the same problems as the interior art. Plus, it feels like Porter crammed too much into the image. 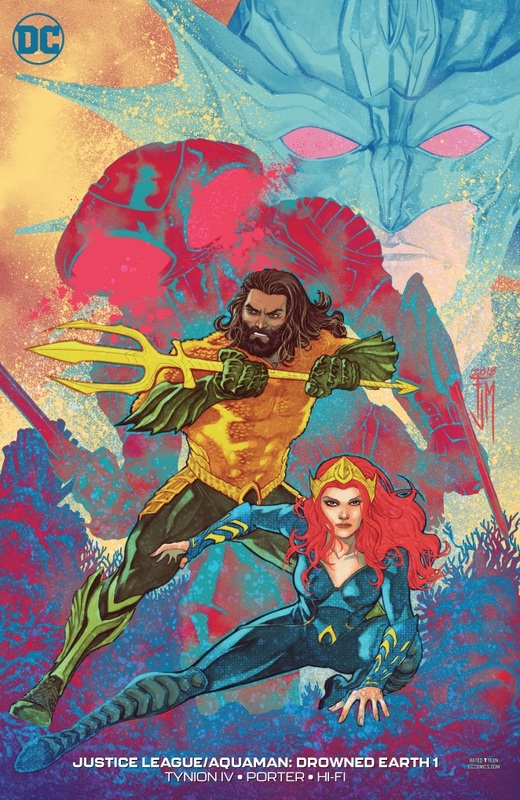 Variant Cover Art - 3: Could this cover be helping to gear up for Jason Mamoa's Aquaman film directed by James Wan? I'm not sure, but this variant feels like a well drawn publicity stunt.